It’s no bigger than a suitcase but it could save our lives some day. Canada’s Near Earth Object Surveillance Satellite, scheduled to launch from India next month, will hunt for asteroids that could strike Earth. NEOSSat will also act something like a traffic guard, monitoring the orbit of other satellites to prevent collisions with space junk and debris in an increasingly crowded sky. However, NEOSSat's launch has been delayed several times and the Canadian Space Agency has recently faced budget cuts to funding that was already limited. William Harvey, project manager with the Canadian Space Agency, spoke to Yahoo! Canada News about what NEOSSat means for Canadian space research and the challenges of developing groundbreaking technology on a tight budget. This is a condensed version of that conversation. Yahoo! Canada News: What is the benefit of being able to track asteroids and other space objects? William Harvey: The near-earth asteroids are ones that orbit around the sun much like the Earth orbits around the Sun. They could cross the Earth's orbit. The difficulty with that, as of course these objects are quite energetic – travelling anywhere from 10 to 75 miles per second – is they could cause us a lot of damage if they came in contact with the Earth. I wanted to also shift a little bit to the aspect of surveillance of space. Because the ever-increasing traffic with the number of satellites and rockets that have launched, there's quite a crowding in certain areas of space now. Of course, occupying the same space at the same time is not possible because that's a collision. It's an ever-growing problem. The more we send out, the more traffic there is, the more need for situational awareness. Just like you have on the road, you want to make sure your lanes are clear and things are going in the right direction. I think it's very important that NEOSSat be launched and be able to undertake these missions. I'm quite proud of the fact that we actually were able to do this in Canada. Yahoo! Canada News: What significance does this project have for Canadian space research? Harvey: I think it puts us in contact with a lot of good science. I think it puts us in contact with the international scene as well. People are interested in this. For example, we could have what they call an astral laboratory in space where we have an opportunity to assess the early formation of planets and planetoids in the inner solar system. Also, I would say these asteroids could also be a source of natural resources in the future. People are interested in selecting ways to look at mining asteroids, for example, or to use asteroids as platforms for future science experiments. Yahoo! 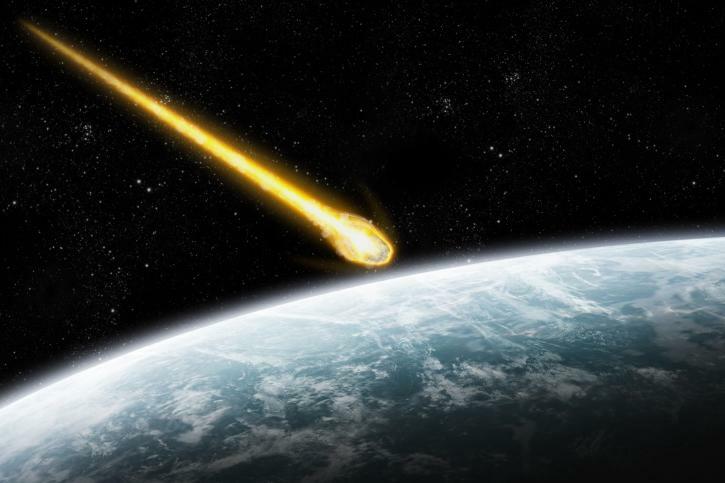 Canada News: How likely is it that a Near Earth Object could strike Earth anytime soon? Harvey: Therein lies the difficulty in prediction, doesn't it? We need to know that something exists to know its probability of impact. Some of the very big asteroids are infrequent but their impact is so great that we can't ignore the fact that they've happened. So from a point of view below 50 metres, a lot of these actually occur every year. Above 50 metres, we're probably talking … one every thousand years. The very big ones, like the one that caused the extinction of the dinosaur, are very infrequent. But when they hit, their gust of energy releases and they cause the climate to change. We accept that we may not find, call it a frequent impact, but we may find one that we can avoid. For example, people were worried about the asteroid Apophis and one of the reasons they were worried before was the lack of accuracy of measurement. We could not predict the precise path of the asteroid. With NEOSSat we should probably be able to reduce the error of our measurements. It's very important to get it right, of course, because we don't need to panic people if it's only a close, let's call it fly-by. If it were more than that then we need to have the mechanism to give people the opportunity for counter-measures or moving them out of harm's way. Yahoo! Canada News: If I can change gears slightly, the budget for building the satellite is about $11 million. A member of the science team, Jaymie Matthews, has told me that even the people at NASA are amazed that groundbreaking research technology like this could be developed at such a low cost. Why was that possible? Harvey: We have to accept some risk on this but we're using parts that are better than commercial but not as well-qualified as some other spacecraft. So we're doing our tests on the ground in assembled form. We don't have hordes of people. That's the way it is. Small team, we keep it small and we manage one at a time. We're not able to make the full capacity of what they call the big industrial teams that they have in the United States. But our teams are more, all-rounders, as I call it. They do everything and they learn their trade from the bottom up. I kind of feel that that's the Canadian way. We learn to do things more with less and accommodate ourselves to what the Canadian environment is. Yahoo! Canada News: You mentioned that you're accepting a certain level of risk by building NEOSSat on this budget. What are those risks? Harvey: Risks are of several sorts. One is, of course, because you'll be doing tests at a unit level, you may have disassemble and rethink your approach. We've had to do that a couple of times with NEOSSat, specifically with our electronics that read out from the telescope. That's been a source of learning for us. A small team has to work hard when they encounter problems, and of course, that's one of the risks, that you don't have all the expertise on board so you have to acquire that expertise afterward. That's what we've done. We've called in outside experience sometimes, when we've needed it. It's been significant that we've overcome our difficulties. Yahoo! Canada News: When is the launch date? Harvey: We fly, basically, on [February] 11th plus or minus a few days, depending upon what happens with the other payloads and the weather conditions. We're quite anxious to be on board and doing our thing. We'll want to be there in February, no doubt. If it's delayed then that's not a problem for us but it's – we've had to hustle a little bit to make ourselves present at the right time. Yahoo! Canada News: Is there anything else you wanted to add? Harvey: I'm quite pleased that people are taking an interest in NEOSSat. It's one of those projects where it's a small satellite but it makes a significant contribution. This is important for us; it's discovery. It speaks exploration as well as science that affects people on Earth. It's my view that that's the type of thing we should be doing. Things that are science but things that Canadians benefit from.